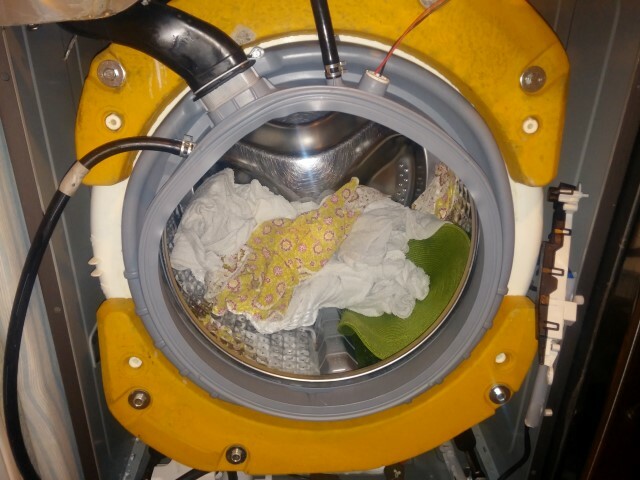 Like many other washing machine repairs the majority of the washing machines need to be almost completely disassembled to be able to replace the part that needs repairing. 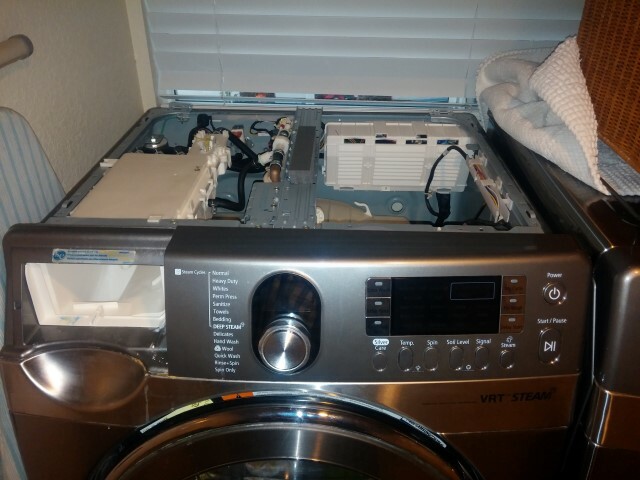 We begin this Washer Gasket Repair we start by removing the top cover and a few other plastic parts from the washer. We’re just beginning to disassemble the washer. 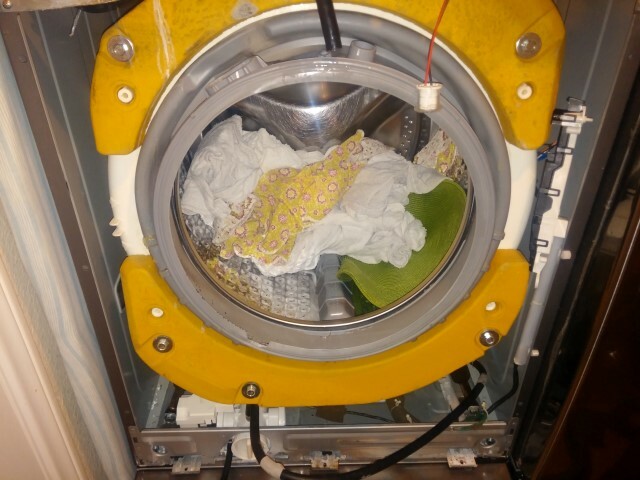 Top cover removed from washer to access the inside of the washing machine. 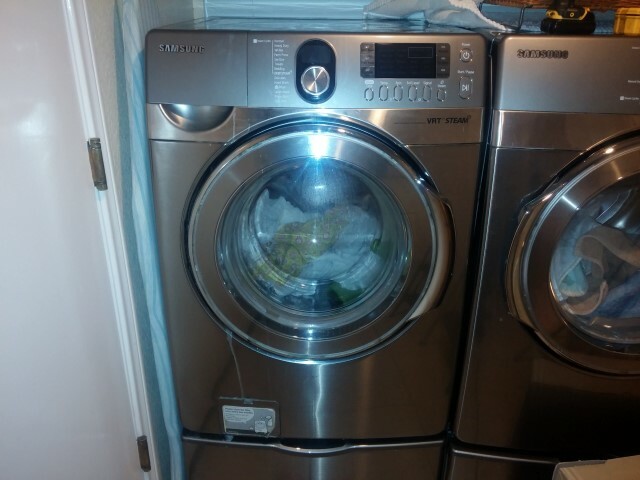 We repair all washing machine types and by most washing machine manufacturers. We provide affordable and honest repair services such as this Washer Gasket Repair. 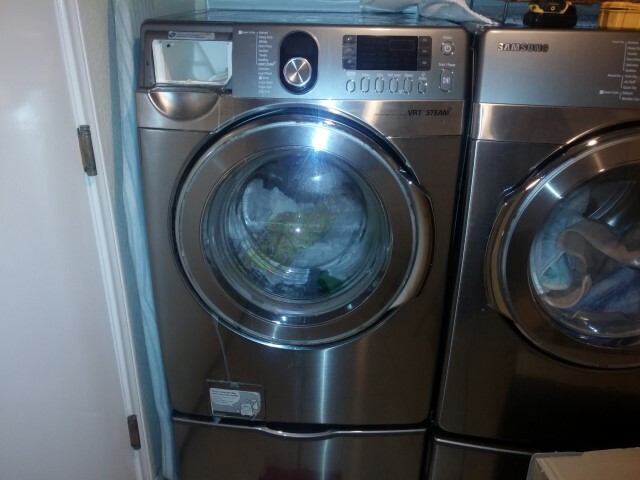 Don’t replace what you can repair for much less than the cost of a new appliance. 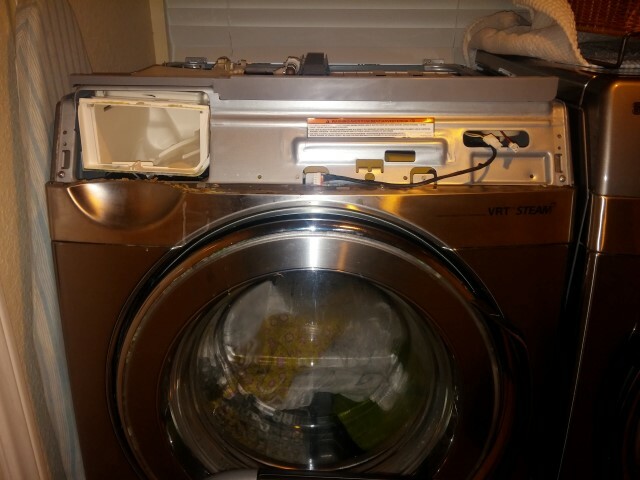 The front control panel is removed from the front of the washing machine. 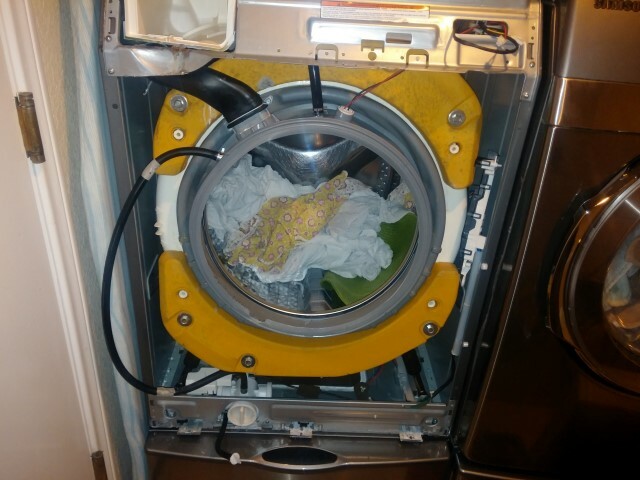 The front cover panel is removed so that we can access the inside of the washing machine. Any sensors must also be disconnected and placed out of the way. 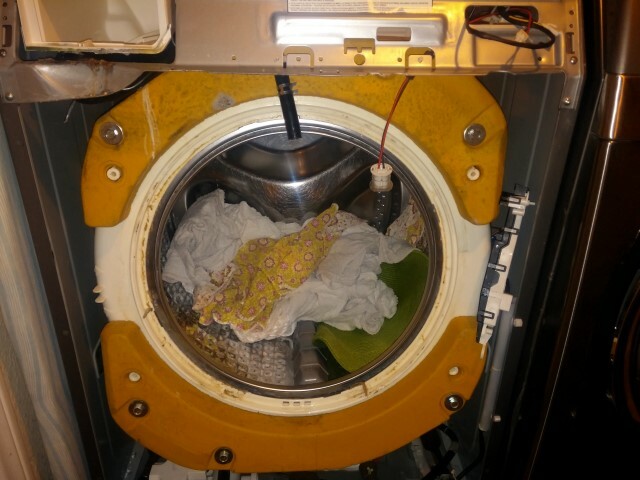 In this picture the old door gasket is completely removed from the washer. It’s time to install the new replacement washer door gasket. Here is the new door gasket installed with all of the sensors and plumbing re-connected. 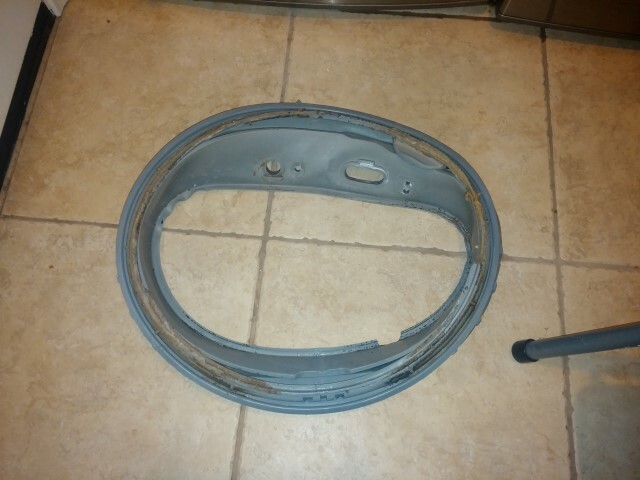 The old door gasket from this Samsung washer looks like it has seen better days. This completes out Samsung Washer Gasket Repair. Is your washing machine is leaking? Possibly in need of a Washer Gasket Repair for your washer? Having any other washing machine problems? Give us a call! You can set an appointment online or give us a call directly at 619-327-9501. We provide honest and affordable appliance repair service within a 25 mile radius from the La Mesa / El Cajon area of San Diego. If you would like to see if you live within our service area please use of our service area checking tool to find out.